I have been working on all of the three projects I have started last week, and made some great progress. It feels so great to get my knitting mojo back. I have finished the “Pieces of 8” mitts. I really like them and hope to use them a lot this autumn. I managed to loose my last darning needle, so ends still need weaving in. 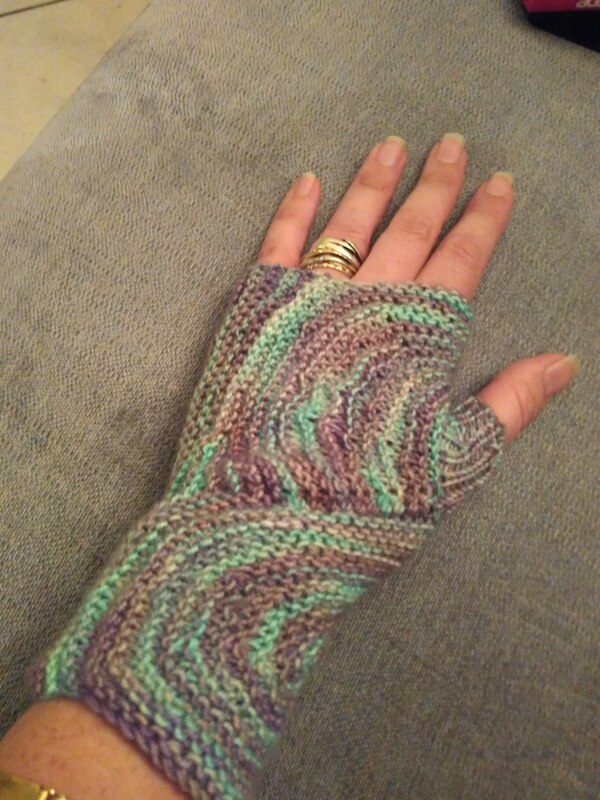 It happened between finishing first and second mitt, so when I needed to graft the second one, I first tried using a crochet hook – but that was waaay too confusing, as you have to insert the hook in the opposite direction to pull out the yarn, compared to when you have a needle. I was so frustrated, I managed to thread my yarn into a regular needle. There are some mistakes in the pattern though: In step 5 after placing second marker cast on 66 sts (I wasn’t sure first, so cast on 70 and delete creased on stich a row afterwards). When you get to picking up stitches between the starting point and the cast on edge for the first time you need to pick up 2 stitches to arrive the at the good stitch count. 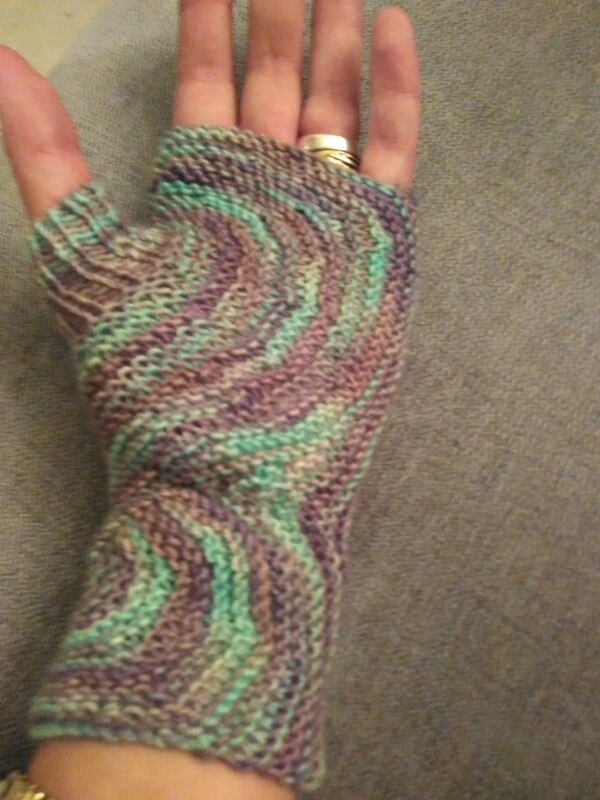 And after step 6 for both mitts I had 92 sts, not 93. I also ripped back the hat I started for my mom, and re-started using a larger hook, to get a softer fabric. 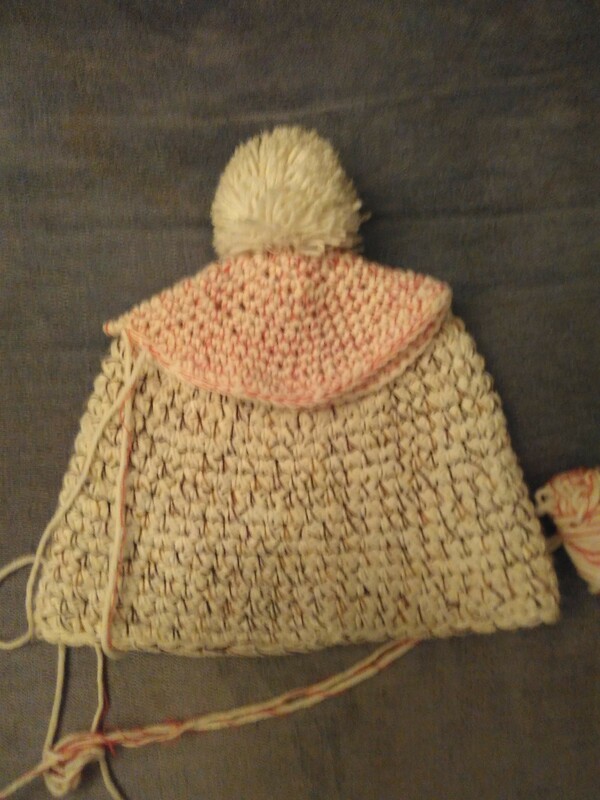 Here is my progress on top of the hat I am trying to recreate. 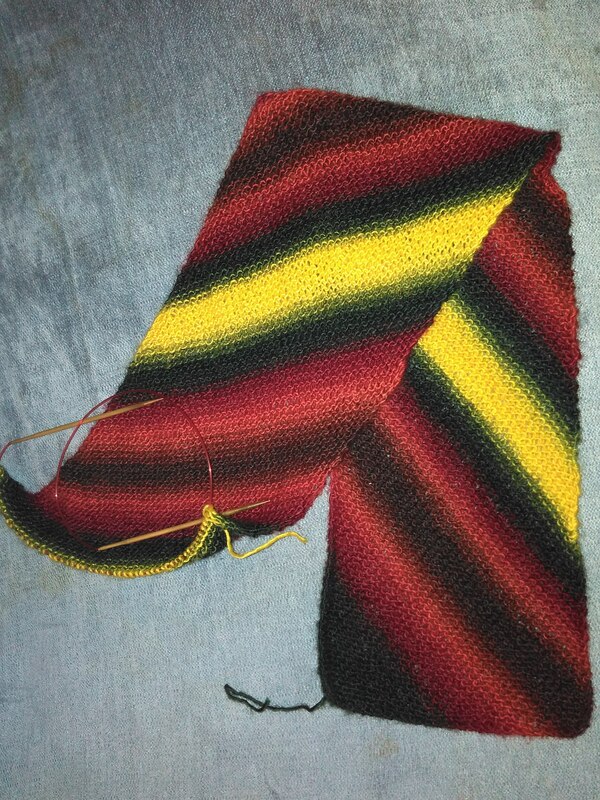 Finally, I’ve used one whole skein on my diagonal stripes scarf. I’m now reassured that I have enough yarn to finish it, yay! Congratulations on another game of “yarn chicken” won! The scarf looks fab! I’m always amazed by your ability to recreate patterns! You’ve made a good start on the hat. Yarn chicken is a game I play way too often… In 90% of cases in turns out I bought way too much yarn. I really don’t hope to find the needle, I think I dropped it on the move, so will have to buy a new one. Or like 50 if them to last me at least a year, lol.. The mitts are looking fab and the hat will be too and the scarf is just gorgeous! Those mitts are absolutely gorgeous!! Thank you, can’t wait to weave the ends in…. I love those mitts and the scarf is fab. 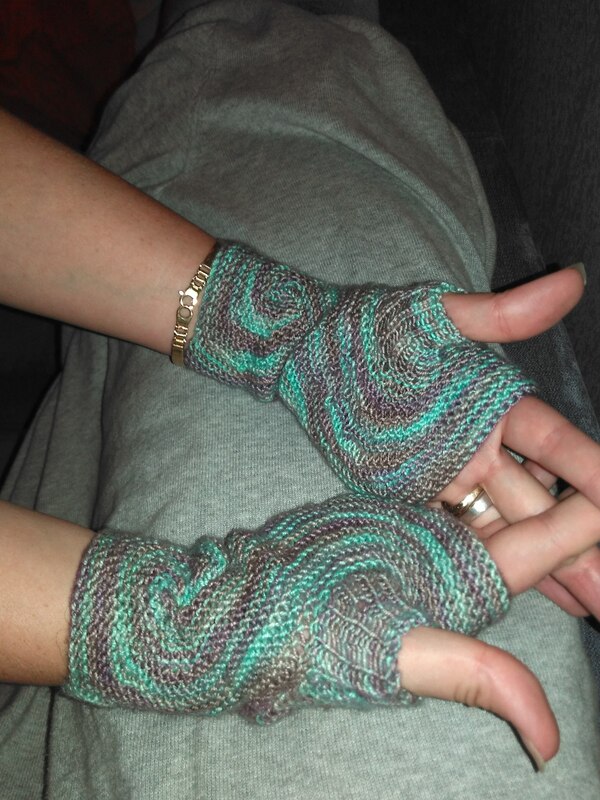 I love the fingerless gloves you made! Especially the color. I have featured this as one of my EyeLoveKnots Yarn Favorites in this week’s party, as well as pinned to this week’s pin board.